Welcome to Gasvigil Technologies Pvt. Ltd. Manufacturer & Supplier of Gas Leak Detection SystemsWe are an ISO 9001:2008 certified company, incepted in 2004, at Hyderabad. Ourproducts are manufacture under the brand name GAS VIGIL. Mercedes-Benz India & TOYOTA Limited are some of our prestigious clients and weare backed by International quality standards & Large production capacity. Our team comprise of Engineers, Researchers, Sales & Marketing Executives. Gas Manifolds, Hotels, Canteen & Food Courts are some of our Application Areas. 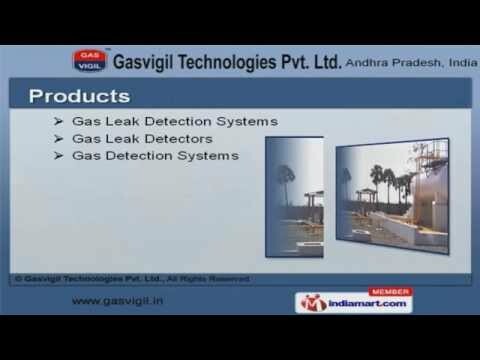 We offer a wide assortment of Gas Leak Detectors & Detection Systems. Our Gas Leak Detection Systems are superior in performance. Portable & Domestic Gas Detectors are available under Gas Leak Detectors. Along with that we offer Gas Detection Systems that are a class apart.